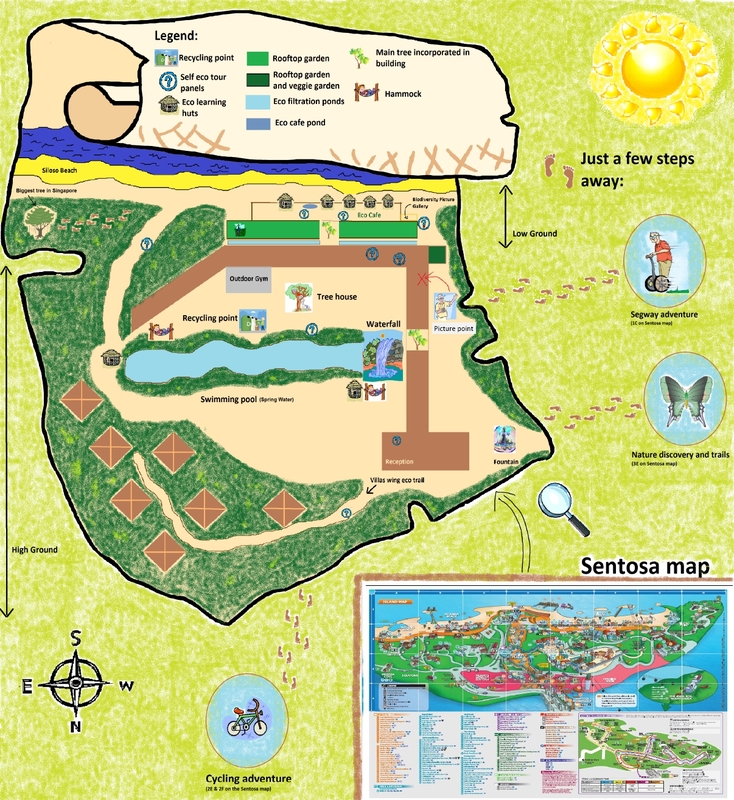 Article by Sylvain Richer de Forges, Head of Sustainability at Siloso Beach Resort. Significant improvements have been made to slow the trend of ozone depletion, yet the problem is still with us and we cannot afford to ignore it. Awareness of the ozone problem has completely lost momentum and seems to have been forgotten by the media. Indeed, we often talk about the ozone problem as if it were a thing of the past – a problem solved. Unfortunately that is not true; the reality is that, while the causes have been identified and international measures taken to limit the trend, ozone related problems and their very real consequences are still present today. Ground level ozone pollution: is often associated with smog events in urban areas. Ground level ozone forms in a very different way and has nothing to do with the ozone layer in the upper atmospheric ozone. Of the three issues above, the ozone hole has been the focus of the most attention since its discovery in 1985 during routine atmospheric studies in Antarctica. 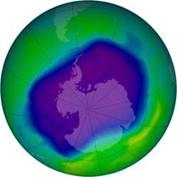 News quickly spread throughout the world scientific community, which soon identified the ozone hole as a serious global threat requiring an immediate response to avoid a dramatic deterioration of our atmosphere protective layer. The ozone layer plays a crucial role on Earth by blocking a certain wavelength of hazardous radiations, such as UVBs. Without the ozone layer, life on Earth could simply not exist. After numerous studies and investigations, scientists determined that human activities were the direct cause of ozone layer depletion. They identified a number of ozone depleting substances (ODS), including chlorofluorocarbons (CFCs), Halons and Freons, which were widely used in the chemical industry and in refrigerator coolants and sprays. The solution to the ozone crisis was to ban certain chemicals and to replace them with less damaging alternative options. The Montreal Protocol has mostly succeeded in doing this by banning the production of the most harmful ODS. This response has averted the catastrophic ozone depletion we would otherwise be facing today. While CFCs were banned in most countries (some still use them), the main replacements – hydrochlorofluorocarbons – also contribute to ozone depletion, although to a lesser extent. Therefore, we have in fact only significantly slowed down the trend without really fixing the problem. The ozone problem is still very present. In fact, scientists recorded the largest ozone hole on record in 2006. Currently, scientists predict the ozone hole will only recover to pre-industrial levels around the year 2065. Indeed, recent studies indicate that certain parts of the Earth, including major cities, are experiencing dangerous levels of UVBs resulting from global thinning of the ozone layer and the spread of the ozone hole. Higher exposure to this harmful radiation brings significantly higher risks of skin cancer and other chronic illnesses. Furthermore, while the most harmful ozone depleting substances have been banned, other ODS substances that are not covered by the Montreal Protocol are on the rise, particularly Nitrous Oxides (NOx). As with climate change predictions, current ozone models do not truly take into consideration the effects of social trends, such as global population growth and the resulting exponential increases in consumerism and chemical activities. As such, current recovery estimates may well be faulty, particularly given the fact that we still do not fully understand the relationship between climate change and ozone depletion. It may well take much longer than anticipated to resolve the ozone problems, which may in fact worsen with trends in society developments. Meanwhile, for the next 50 to 100 years, harmful effects from damage to the ozone layer – a global health concern – will continue to occur.
. The world narrowly averted a similar risk a few decades ago when plans for the deployment of a large scale fleet of supersonic flights, in the form of the Concorde programme, were scrapped. Such activity would have been disastrous to the ozone layer as these planes fly right through it and drive depletion as a side effect of engine combustion. The key message here is that our atmosphere is fragile, and we cannot afford to destroy it. The ozone problem, followed by the climate change crisis, was our first major warning. Yet we do not seem to have fully learnt the lessons from these on-going threats. We must raise awareness of the continued urgency of the problem, and tread with care in future developments that directly impact our atmosphere.